According to recent statista figures, around 139million smartphones were sold worldwide in 2008. However, in 2016, statista figures demonstrated that there are now over 2 billion smartphone users. Furthermore, these users have downloaded billions of apps all together every year, concluding with the result of the mobile app development industry to develop from a relatively new business into a billion dollar industry. One of the bigger changes that has happened to app development over the years, relates to downloading the software itself, as before the process of downloading an app was different and was so much more difficult to do. It consisted of the user having to visit a shop in person, find the product they are looking for, then pay for a technician to install the software within their computer. However with the Apple store and google play store, consumers can now research and download apps them selves onto their devices in minutes. This process of digitally downloading software has enabled a new type of mobile app developer to enter the global marketplace. As mobile analyst Chetan Sharma explains: “It could take many months and even years before the complex negotiations were over to launch the apps. Independent developers rarely had a shot … Now, a student in a dorm can become an overnight sensation. It takes only minutes and hours to get something in the market”. Now with the ability to design, develop and launch mobile apps quicker and more accessible than ever before, big platforms such Apple’s app store have now expanded at an insane rate. When apple’s store was just opened in 2008, the store offered 500 apps available for download. However today Apple’s app store consists of 1.5million apps and an additional 1.6million android apps. With the app industry becoming so large, competition is increasing to secure paying users. According to figures shown on Entrepreneur magazine around 46% of mobile app users are paying customers. Which lead to over 45billion in revenue for mobile app developers in 2015. An example of one the first devices was released in 1980 the ‘Psion Organiser’ was not capable of doing much however, it had a small amount of built in software such as a calculator, diary, text editor. Furthermore, as i will also be having to design an app, i have come up with the idea of having an app that will notify people when new high demanding or rare shoes are released. The target audience for this app would be mostly be young adults that have some source of income as most exclusive shoes are quiet expensive, this app would also highly appeal to clothes/shoes resellers as exclusive shoes will often be resold for a bigger profit because of how rare and limited they are. Moreover, as there are already apps that are similar to mine, i will have to develop mine further, some of the things i will include, is a description on shoes, the history if there is any and the price of the shoes when it drops at retail stores and online. Furthermore, i will also locate the stores that will have the product, as sometimes when the shoes are really rare they would get dropped for retail in a different store to the usual. Moving on, the next app ‘Kixify’ links in to the app ‘KicksOnFire’ this is app where you can buy and sell your owns shoes, it also has a lot more settings and categories you can test out. However, although it has many more options to play around with they still maintained to make the app look appropriate for its audience, unfortunately it does look a bit unorganised because of the lack of negative space used, the images seem to be really close together, which only a slim line separating them. However, this could also be a positive thing to some of its users, as some people might want to explore the home page faster. Furthermore, the app is efficient because of how easy they make it to purchase items and sell items, to buy an item all you have to do is select the image of shoes that appeal to you, a description and a price will then appear, with a ‘buy’ or ‘add to cart’ button which then leads you to your payments, this will keep its customers and users satisfied because of how easy and fast it is to use. Moving on, the selling part of the app, also really well made because of how self explanatory the bottom of your page looks like, it involves five options, a home button, a dashboard, where you can see the orders you have made, which also include the date of when your item will be delivered. The third option is a camera, that allows you to start selling your item, here you insert an image and add all the details for it to then go on and sell it. Furthermore, there is also a inbox where you can view your messages of people who are interested in your items and want to discuss the shoes in further detail. Finally, your personal profile, where it demonstrates your profile with all your shoes that you have sold and and currently in the process of selling. In conclusion, i think this is a well made app because of how self explanatory it is but also how fast and efficient it is. In comparison to the previous app i would say its quiet similar but ‘KicksOnFire’ is better because of the use of negative space. 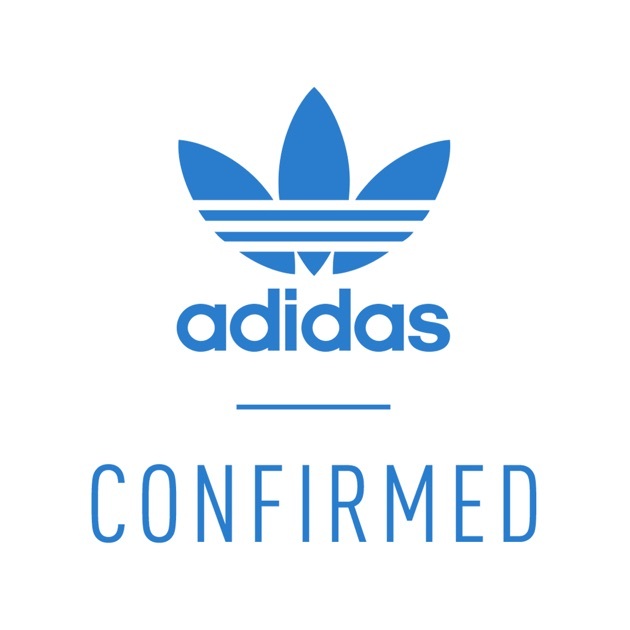 Furthermore, the final good app i will be analysing is ‘Confirmed’ this is an app based on only Adidas shoes. The app allows you to get a reservation on upcoming rare shoes, however to get a reservation there is a few to steps you need to make, signing up, a week before the shoes are released you have to select a shoe size, then throughout the week you will get a notification, letting you know when they will begin taking reservations. More over, as the shoes are rare and a lot of people are going to try and get reservations, the app will have thousands of people waiting to try get a reservation, which concludes in thousands of people missing out on the reservation too, however, this is good, as only a certain amount of shoes get released.’Confirmed’ creates a fair way for people to get reservations by having a countdown, when the countdown reaches zero you have to click a circle in the middle of the app instantly, with in a point of a second, all reservations will be taken up, which will conclude in you having a guaranteed pair of shoes. The overall design of the app is really well made, it uses negative space effectively and presents many accurate images of different angles of the upcoming shoes. In conclusion this is a good app because of how simple and useful it is. Furthermore, the loading page of the app, for this page i went through a few steps on illustrator to create the background pattern, to begin with I created a pattern using the rectangle tool, i then extended the rectangle to make it look like lines, followed up by this I adjusted the pattern In the pattern options here i got to figure out how the pattern will look like, instead of it just being straight lines across, i adjusted it to have the pattern be in different directions, throughout the page. I then got the pattern on swatches, so i can now apply it to further pages in the app. As demonstrated the pattern in the background is consistent throughout the page, however it is also unique because of the different directions the lines face. Evidence of linking buttons for app. To begin i created a page, firstly i set my ‘max page width’ to ‘320’ I then went onto ‘advanced settings’ which lead me to to a few more settings to set up the page where I could change the ‘min height’ Having set this up I then get a screen with all the pages of my website to begin with you get one page, furthermore, I then created a new a few more pages by clicking on the ‘+’ next the the page when you hover over it , I went on to creating 3 pages. Followed up by naming them, After this was done, I went on to adding text and colour to my home page. To add colour for the background of my ‘home’ page I went on the rectangle tool and filled my page with it, followed up by adding colour after following these steps I had a page filled with a green Furthermore, I then added text and went on to adding another rectangle at the bottom of my page To follow up by this I then selected all the layers on the page and copied them, to continue I went on to page 1 and pastes all in place where I then changed the colours up and the text, i continued this process into page 2. After having all 3 pages with different text and colour I then went on ‘preview’ made sure it looked right and recorded it. Final app design pages slight improvements with text placements and colour from previous second page Here are all my app pages on a screenshot, the arrows show how the pages link together.